Beginning this month, employers in Alberta have to comply with new rules for paying health benefits to injured workers and for re-employing them once they are fit to return to work. 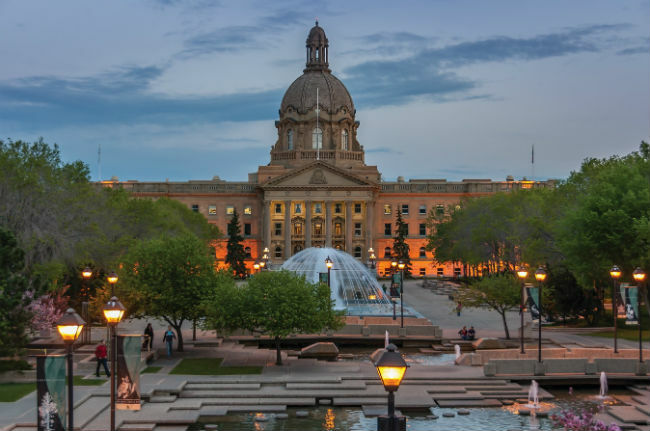 As of Sept. 1, the Alberta government is bringing into force amendments to the province’s Workers’ Compensation Act that it said will better protect the rights of injured workers while not “creating unnecessary burdens” for employers. 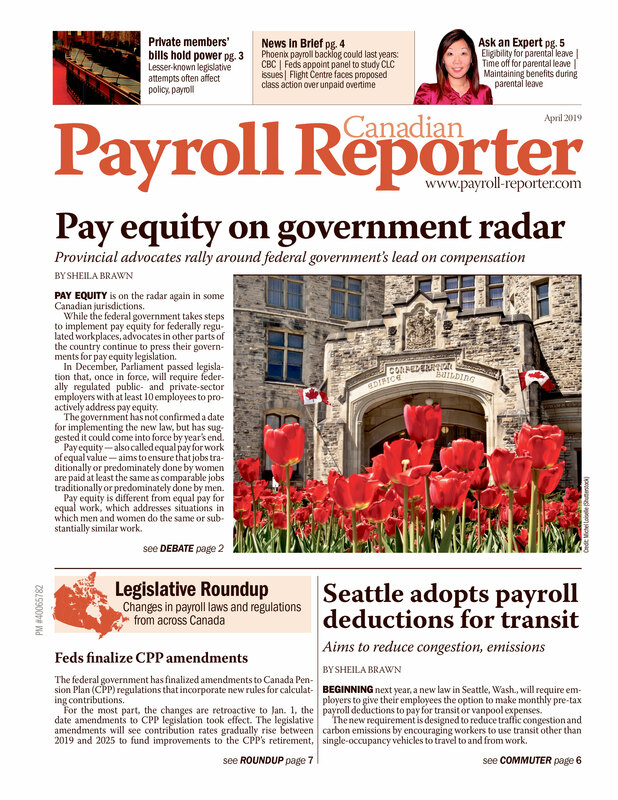 “What employers will see is an improved system that is effective, sustainable, and remains one of the most affordable in Canada,” said Labour Minister Christina Gray. The new benefit rules mean that employees off work with a work-related injury will continue to be covered under their employer’s health benefits plan. Employers will have to keep paying health benefit premiums for them for up to a year while they are absent as a result of a workplace injury that occurs on or after Sept. 1. Health benefits include things such as dental and vision care, medications, and hospital, health, and paramedic (for example, physiotherapy) services. Not included are services covered under wellness benefits plans, such as yoga classes and fitness equipment. Also excluded are other health-related benefits not covered under the employee’s health benefits plan, such as spending accounts, life and travel insurance, some over-the-counter medications, and pensions. The obligation applies to all employers with health benefits plans if they were making contributions for the worker at the time of a workplace accident, with exceptions for certain workers and employers. “The legislation does not provide exemptions for employers based on size,” said Cindi Schwartz, a corporate communications representative for the WCB. If an employer’s plan requires employee contributions, injured workers will also have to continue to pay their share. If they choose not to, their employer is not obligated to continue their benefits coverage while they are off. “The employer needs to make the worker aware of any contribution amounts due by the worker, and provide a process for the worker to make those payments,” she said. “If a worker does not want to continue their contributions or does not pay through the process the employer has provided, the employer should contact WCB as soon as possible so we can make a decision regarding the worker’s ongoing entitlement to employment health benefits,” said Schwartz. The obligation to continue health benefits for a year will apply even if the worker’s employment terminates. “There is no exclusion for workers terminated for reasons unrelated to the injury. The employer should continue employment health benefit coverage for the injured worker for up to one year or until they are no longer absent from work as a result of an injury,” she said. “Any time an employer is terminating a worker, they should contact WCB to discuss the circumstances surrounding the termination and their worker’s ongoing entitlement to employment health benefits, as well as other benefits, such as wage loss benefits,” said Schwartz. Employers who do not continue benefits coverage will be liable for any expenses that the injured worker incurs that would have been covered under the plan. In addition, the WCB could levy an administrative penalty equal to the employee’s health benefit premiums for one year. In case of any disagreements about employees’ benefit coverage, Schwartz advised that employers keep accurate and up-to-date records related to the health benefits plan. “We suggest employers keep copies of the worker’s benefit plans at the time of the accident, confirmation of contributions made by the employer and the worker for those benefits, as well as any evidence they may have of a worker’s decision to end these benefits,” she said. Like the health benefits obligation, the re-employment requirement will apply to workers injured on the job as of Sept. 1. However, it will only cover employees who have worked for their employer for at least 12 continuous months at the time of the accident, whether full-time or part-time. Once injured workers are medically and physically able to do the essential duties of their pre-injury job, their employer will have to offer to reinstate them in the job or in a comparable one that has at least the same earnings and benefits. If an employee is medically and physically able to do suitable employment, but not the essential duties of the pre-accident job, the employer must offer the worker the first opportunity to accept suitable employment that becomes available. The reinstatement requirements are similar to those in other provinces, but with some important differences. One is that the reinstatement obligation in Alberta will apply to all employers, regardless of the number of workers they employ. In other jurisdictions, small employers are generally excluded from re-employment requirements. For example, in Nova Scotia and Ontario, employers who regularly employ fewer than 20 employees are not required to reinstate injured workers. The second difference is that the reinstatement obligation will apply until the injured worker declines the employer’s offer to return to work or quits. In other jurisdictions, there is a time limit for the reinstatement requirement. In Ontario, for example, the obligation applies until the earliest of two years after the accident, one year after the worker is medically able to do the essential duties of the pre-injury job, or the worker turns 65 years old. While Alberta does not currently have these limitations, the government could add them by regulation. At the time of writing, it was not known if this would happen. When employers reinstate injured workers, the new requirements will prevent them from terminating their employment within six months or while they are receiving workers’ compensation benefits unless they can show a valid business reason not related to the workplace injury. If employers cannot show this, the WCB could levy a penalty up to the amount of the worker’s net salary for the year before the accident. As with the health benefit requirement, Schwartz said it is important that employers maintain proper records for reinstating injured workers. “Employers should keep written records of modified work they have available and the date they offered this and/or the worker’s regular job duties to the worker,” said Schwartz. “They should also ensure they are keeping accurate and timely performance management information in the event they need to provide evidence for a worker’s termination. If an employer is laying off an injured worker, they should also keep record of all other workers who are laid off to demonstrate why an injured worker was chosen for the layoff,” she said. Along with the reinstatement obligations, employers are still required to accommodate injured workers in the workplace up to the point of undue hardship. One other Sept. 1 workers’ compensation change that could impact employers in the future is the government’s decision to remove a maximum insurable earnings cap used to set wage-loss benefits for injured workers. While this will not affect the maximum assessable earnings (MAE) cap used to calculate employer premiums in 2018 or 2019, there could be changes in 2020. “During 2019 we will begin collecting more data (from employers) to help us analyze the impact of the removal of the cap on compensable earnings to premiums and premium rates. We will use that data to determine possible future changes in the MAE,” said Schwartz. She added that it was too early to say what the potential changes could be. “We will be collecting additional information about the distribution of earnings in the workplace, in particular, the distribution of earnings above the current MAE levels. This will help us forecast any impacts to premiums and premium rates if the MAE changed,” she said. Schwartz said the WCB was still determining which data it would be requesting from employers, but she did not think it would be onerous for them. “We will not be asking for anything that employers don’t already have the data to provide, so the impact should be minimal to employers,” said Schwartz.